Sorelle GrapevineSo you want to wear a red lip? 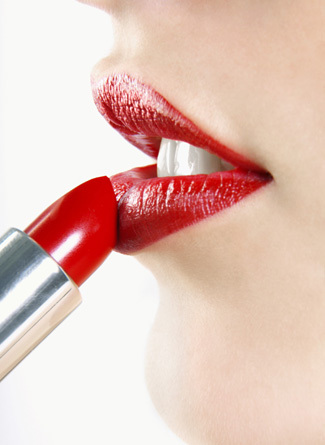 So you want to wear a red lip? This one is for the divas!! So my beauties you want to wear a daring and provocative red lip but were afraid to try it?? Well join the club 🙂 I too have been very apprehensive about adopting this shade in my style be it attire or makeup. But nothing says vixen quite like this color 😉 So lets break this down into a simple look which everyone can try out. 1) Try to go in for a deeper more richer shade (MAC Viva Glam 1) than a brighter one (MAC Russian Red – voted as the best red lipstick by Vogue) if you are venturing into this territory for the 1st time and then gradually experiment with the shade as your comfort level increases. 2) Try not to use a gloss or a glossy shade for your first time around. It will just emphasize the look and cause it to look OTT. Stick to a matt shade. 3) (Oh yes there is a 3rd point too :p) Keep your overall look to the minimum when playing with this fiery shade. Just keep the focus on the lips and play down all other aspects of your makeup and attire. Well he showed me a look and what can I say…..I was completely sold on it (my sisters who will read this will never believe that Im saying this about this color). But jokes aside the final look was really pretty. The shade just bought a brightness to my face that I fell in love with! And it makes your teeth appear whiter too. So enough with the chit-chat and lets get on with the tutorial!! Before working on your lips ensure that you moisturize them with a lip balm. Do this first then go and finish the rest of your face makeup and then do the lips last. This will allow the balm sometime to get absorbed into your skin. This is an important step as we will be using a matte lipstick and no gloss. a) Starting from the tip draw a line towards the center following your natural lip shape. b) Finish the upper lip V part and then line the center on the lower lip. c) Starting from the outer edge line your lips to the center. Do this for the entire lip. Now fill in the lips with the liner and make a pout shape ie don’t fill in the center portion. This shape is also know as the cupid’s bow. Tip: To make your lips look fuller and sexier, after you apply your lipstick (not for this look) dab on your gloss only on the center portion (the one that is left without color in the above pic). This will give you an instant pouty look. Great for the a date or a party! 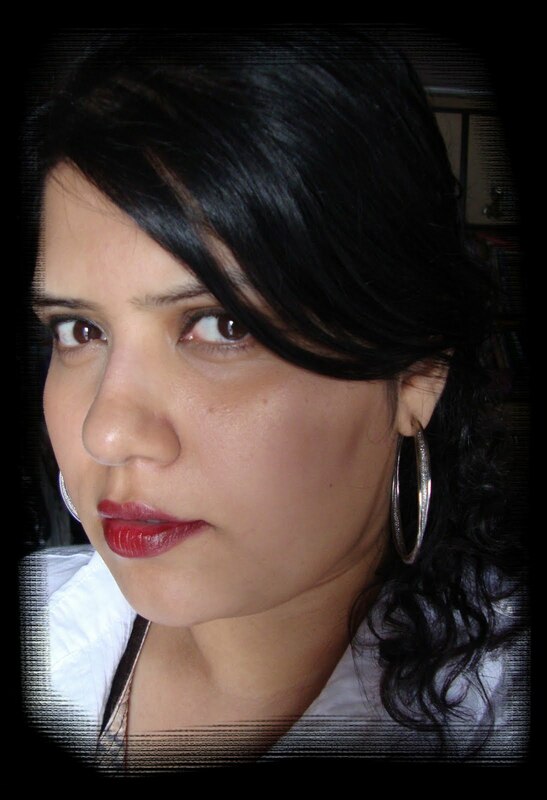 a) Fill in your lipstick in the cupid’s bow (the center portion that was left uncolored) concentrating the color there. b) Then go over the rest of the lip lightly. a) Go over the lip line again with the liner. b) Go over all the areas again that were colored/filled using the liner. c) Clean up any mistakes that you made.